Spanish Law Tribune » Buying Property in Spain: In my Own Name or Using a Company? Home > Property	> Buying Property in Spain: In my Own Name or Using a Company? Buying Property in Spain: In my Own Name or Using a Company? Buying a property in a company name is, in many respects, a good proposition, unless you ask certain lawyers who will tell you that it is always beneficial (for them, that is, from a financial perspective). Logically, giving incorrect, wrong or biased advice is never the desired option if you want to stay in business for the foreseeable future and therefore, in our case, we tend to use the following tax and legal points, or parameters, so that a client can make a judged decision. Buying Property in Spain: In My Own Name? Most property transactions in Spain have physical persons as buyers, for the reason that mortgage lenders are not keen to lend to property-holding companies and when they do, loan-to-value ratios rarely exceed 50%. Less upfront cost (no company incorporation cost). No associated company running costs. Improved ability to obtain finance. Lower Capital Gains Tax (average of 19% on net profit). For non-residents, Personal Income Tax (PIT) is applicable to the property: this annual tax is calculated by applying the tax rate (24%) on the base rate (between 1.1% and 2% of the rateable value or 50% of the purchase price, if the former value has not been approved). Visibility: The Spanish land registry system is accessible by anyone who registers with them, via internet, or without registering, by applying directly in their offices. This may not be in the interest of people who wish to remain anonymous for any reason (defaulting on contractual obligations abroad, matrimonial disputes etc.). Reduced ability to request a VAT refund, as the Tax Office will view a non-resident self-employed foreigner (registration as such will be required) as a less likely candidate for a refund, given the historical records of unfounded VAT claims on holiday property and a financially strained Tax office. Only certain costs and improvements on property can be deducted against the profit on selling, not annual running costs (unless one registers as a trader). Buying Property in Spain: In the Name of a Company? No annual taxes on corporate tax after a recent tax law change. Company running cost will depend on the firm dealing with the bookkeeping, €120 per month being an acceptable fee. Ability to deduct property running costs from profits. Anonymity: A company will allow the shareholder and ultimate owner to limit the exposure to any third party ownership information request. For a full-proof anonymity situation, buying shares of an off-the shelf company and not being appointed as the director is essential (only a Judge, or the Tax Office, could request the shareholders books to be made visible). Improved ability to register as an actively trading to request a full or partial VAT refund. Set up costs: Law firms will generally charge anything between €1,000 and €3,000. Maintenance costs, compared with paying personal non-residents income tax, where the property has a rateable value of €300,000 or less. Capital Gains Tax: Corporation tax is currently at 20% for net profits of less than €300,000 per annum, and 30% thereafter. A retention on dividends payment is thereafter applicable, at 15%. Non-payment of this tax goes largely undetected. There is no financing requirement to acquire the property. There is a need or desire for anonymity. The property has a rateable value of €300,000 or more, as non-residents PIT will be approximately €1,500 per annum, as opposed to a company running cost of around the same value (irrespective of the value of the property). The purchase of the property attracts input VAT (new property sale), which is susceptible of being offset against output VAT, where the company embarks on a genuine activity, i.e. property is rented to another company (private individuals do not pay VAT on rental) or used for any other commercial activity, or in the event that the property is refurbished and then sold on. And what about companies Gibraltar and other offshore jurisdictions? I have already dealt with this on a previous post, from a rather negative point of view, even if it may have certain benefits. We have many overseas buyers looking to buy properties in Spain through their company. For many it means avoiding UK personal tax on withdrawals from the company. In simple terms if someone wants to draw €100,000 to buy a property through their company their is no further tax above the corporation tax already paid on profits. If they withdraw the money as personal dividends first then depending on circumstances they coud be paying a further 20%-30% tax on personal income. However the big drawback for many i this market is the availability of finance. Many of the best property deals are with banks. 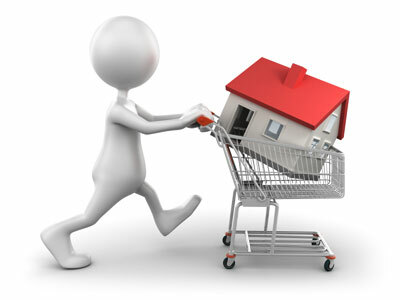 90% mortgages ae available to individuals but Spanish banks are reluctant to lend to companies. The banks need to sell these properties. If only they would wake up to this possibility. There is no more ultimate risk lending to a company rather than individual as many individuals walked away from their properties anyway in the crisis. Far easier to pursue a company surely? I think, Buying Property with the name of Company is good, as there are many advantages over this. IS it possible? I do not think so. I am from India need to know if I buy distressed business in Spain how much funds are needed to obtain self employed resident permit as in distressed business as I will buy business with loan dues therefore banking dues will be taken over by me and upfront money will be paid to the sellers. Hello Nicole: the sum required to apply for a business, or self-employed residency permit, will vary depending on the type of activity you intend to carry out. I would suggest that you did not invest the funds until you received the permit, but merely deposited the funds in a bank account, attaching a bank certificate to the business project. Generally, a sum of around €100,000 is considered to be adequate, subject to the type of activity. We have a property in the name of a company. What are the costs involved if you want to add a shareholder/owner to it (if you want another member of family to also equally own the property)? I am from india and want to settle in spain…please let me know how we can buy a home and do our business and whats the exchange rates of u.s.dollar there..
Sofia, the cost would be the same as if you bought a share of a property as this transaction would be tax with Transfer Tax. Sofia, the cost would be the same as if you bought a share of a property as this transaction would be taxed with Transfer Tax. You are able to buy a property in Spain and also, apply for residency under one of two different residency programmes: self-employed work and residency permit or non-lucrative residency permit. You can find out more by going to http://immigration.lawbird.com/en/ (http://immigration NULL.lawbird NULL.com/en/) or alternatively, talking to one of our legal executives. We can advise on total cost as we first need to know how you wish to set up in Spain. You can email me directly for more information. We have a UK property rental company which is registered in Spain and has a CIF number. However we are no longer egistered for VAT in UK. We want to buy a new build property in Spain in the name of the UK company – will we be liable to pay the IVA on the purchase – or perhaps we have to pay when purchasing and then reclaim from the /Spanish authorities? Appreciate any advice or guidance please. Claiming VAT back from a new build property has become a difficult task. However, if you do use this property for business purposes and you can prove it, you will be able to offset input VAT paid on the purchase with output VAT levied on your services. Please bear in mind that the Tax Office has an obsession with VAT and they will certainly investigate and, where required, conduct an aspect enquiry. You would need to seek further and more specific advice on this matter as claiming VAT irregularly can involve heavy fines. I would like to buy a flat in Spain (for around 500k), refurbish it and resell it. Together with a business partner. We are both non-Spanish EU nationals but have an (optional) residence in Spain – we actually live in the UK (so can be seen as non-residents) but both have another flat in Spain. Is it recommendable for us to buy the flat using a a) Spanish or b) UK company (both of which we would need to newly incorporate). What are the limits in terms of using bank debt in either case? Or should we avoid this and buy as individuals? It is possible to buy in a company name whether you wish to just carry out an investment, request residency on the basis of the strength of the investment or apply for a loan. On this last point, I must add say that banks will lend a lower % of the property value as they deem this as a commercial venture (around 50% loan to value). If you are looking to buy in Andalucia, you may register for a particular business activity (buying/selling real estate) and avail of a reduced Transfer Tax rate (2%). Antonio, do you know if it is possible to purchase under the business name in Catalunya? Or are there different laws in this part of the country? The laws are the same in Catalunya in respect to this. You can buy property in the name of a Spanish, or foreign, company. 1: Investment in property/ rental of property. Do you recommend two companies. Both activities are interconnected and risk is fairly limited; for this reason, from that point of view I don’t think that you would require 2 companies. From a tax point of view things change: in many Spanish regions you have specially reduced taxes for property reselling companies i.e. in Andalucia you pay 2% transfer tax if you sell before 5 years. In this case, you would be better off separating activities to have clearly defined tax situations (and avoid overlapping). I suggest you seek more specific advice closer to the time of your investment. Due to my mum health problems my stepfather set up for her what is known in England as Vulnerable Person Trust (my mum has a long term disability, which was essential requirement to qualify for this type of trust). The primary objective of this was to protect her money and help her to manage it, not any particular tax advantages. The trust is registered in UK. She would like, and we as trustees agree, that it would be beneficial to her health if she had a use of holiday property in Spain. Consequently, the Trust would like to purchase for her use such home in Spain. We are looking at properties ranging from 160,000 to 200,000 Euros. The Trust is registered in England, UK, and mum is permanent UK resident. Does Spanish law, which generally does not recognise family trust as a legal entity, makes any provisions for this special type of trust or do we have to go the company route, which in this case would be expensive and probably disadvantageous? The other option we are looking at is naming mum as a usufruct of the property the Trust, or a company set up by the Trust would purchase. Would that be advantageous in any way? We would be grateful for any advise you could offer in that respect. As you well pointed out, trusts are not recognized in Spain. For this reason, you will have to have a company between the trust and the property to fulfill the provision of Spanish laws. Regarding costs, it is not any more costly to incorporate a UK company and buy with it than to buy in a personal name, other than the cost of incorporating the UK company which, I am told, can be as low as 100 pounds. The above option is fully legal and compliant with Spanish tax laws, with little or no disadvantages. Regarding splitting the ownership into usufruct (personally held by your mom) and bare ownership, this is possible although you would still have to set up a corporate structure to acquire the latter portion of the ownership. Many thanks for you helpful answer, we appreciate your time. i have a question in regards to book keeping/tax representation. We would like to purchase a house in Murcia region through our limited company registered in England. We don’t need any bank loan to buy the property and we are not planning to rent this property. This is going to be for our use only. there is a need to do tax return in January and I read that we supposed to obtain tax representation/book keeping with a monthly cost of 120 euro. Can tax return be done without the involvment of financial representation, please. as mentioned before this property will not gain any income.